Tinnitus is extremely common, affecting 50 million adults in the U.S. alone. The effects can range from a mild annoyance, to a debilitating condition affecting sleep and mood. Essential oils are a great way to treat tinnitus naturally. They can offer relief when tinnitus becomes overwhelming, and keep it at bay with regular use. Tinnitus is a condition that causes a ringing sound in the ears even though no external source is present. The sound might be heard from one or both ears and can vary in intensity. Whatever the cause, tinnitus can be extremely debilitating and painful in extreme cases, and a daily annoyance in milder instances. How Do Essential Oils Help Tinnitus? Essential oils are pure, potent plant extracts taken from aromatic botanicals. They are extracted from the roots, leaves, flowers, seeds, tree bark and resin of plants. Reduced pain and discomfort due to their analgesic properties. Reduced stress and depression, which can often affect people with tinnitus. Reduced inflammation - a major symptom of tinnitus caused by ear infections. Decreased congestion in the airways. This is especially true for the the eustachian tube which is connected to the middle ear. What Are The Best Essential Oils For Tinnitus? 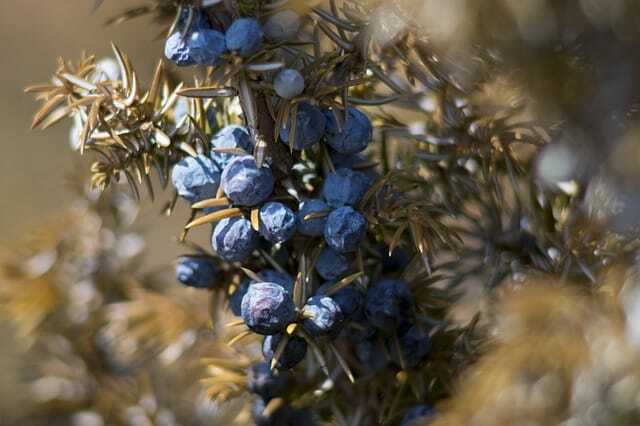 Juniper berries are the seed pods of the juniper tree. They have a smell similar to pine, but hotter. The essential oil is a natural antiseptic and calming. These properties make Juniper Better Essential Oil useful if your tinnitus is caused by inflammation or infection. Because of the wonderful, earthy smell of Juniper Berry, it works well in a diffuser. This allows you to enjoy the smell while getting the benefits of the vapour. Cypress essential oil is used to stimulate blood circulation. It’s a astringent, antiseptic, and a respiratory tonic, making it a useful oil for tinnitus. If you suffer with pulsatile tinnitus, this could be caused by poor or blocked circulation in your ears. Using cypress oil around the ear will increase the blood circulation and lessen the intensity of the ear’s ringing. Cypress also has calming properties. So if your tinnitus is linked with stress, using cypress oil can reduce your stress and nervousness levels, thus improving symptoms. Add 1-2 drops of Cypress oil on a cotton bud and dab around your ears and neck area to get the tinnitus-reducing benefits. Even if you’ve never used lavender essential oil before, you’re probably familiar with the beautiful smell of lavender flowers. Lavender is one of the most popular of all essential oils due to the calming and relaxing affects the oil possesses. 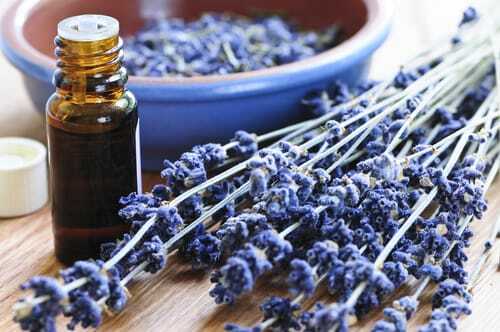 Lavender essential oil reduces anxiety and stress, which many people with tinnitus experience. By reducing stress, you may find tinnitus subsides. It’s a great oil to use before bedtime to promote calm and restful sleep, which can be a great relief if your tinnitus worsens at night. Put 1-2 drops in your hands, rub them together and then inhale to get the relaxing benefits of lavender oil. The helichrysum is a member of the sunflower family. It’s also known as the Everlasting flower because it lasts a long time when dried. This oil drains excess fluids from the body and stimulates the circulatory system. 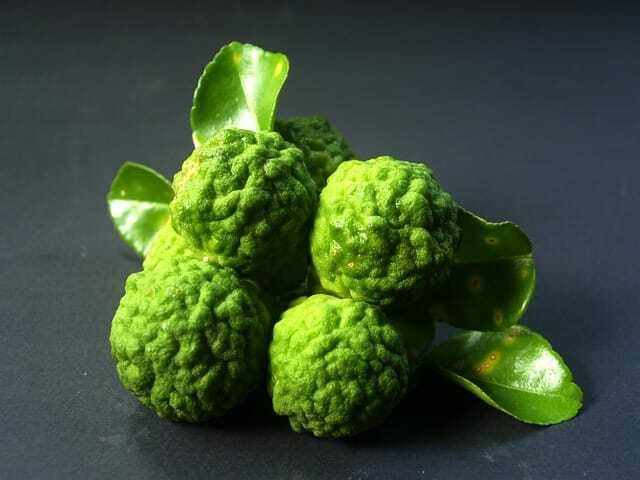 It also has anti-inflammatory properties which helps prevent earwax buildup. All of these healing properties make Helichrysum essential oil a great option for treating tinnitus. Add a few drops to coconut oil and dab it around the ears to ease tinnitus symptoms. Combine the essential oils and carrier oil in a glass dropper bottle and shake to mix. This wonderful tinnitus mixture can be used to rub around your ears, and the sides of your neck and temples to get the benefits. Let the solution sit for at least 15 minutes, longer if needed, then wash off with warm water. Never apply this solution directly in your ears. This may cause severe irritation or sensitivity. Because tinnitus can affect your sleeping patterns as well, using the above oils in conjunction with other soothing, sleep inducing oils can be of enormous benefit. 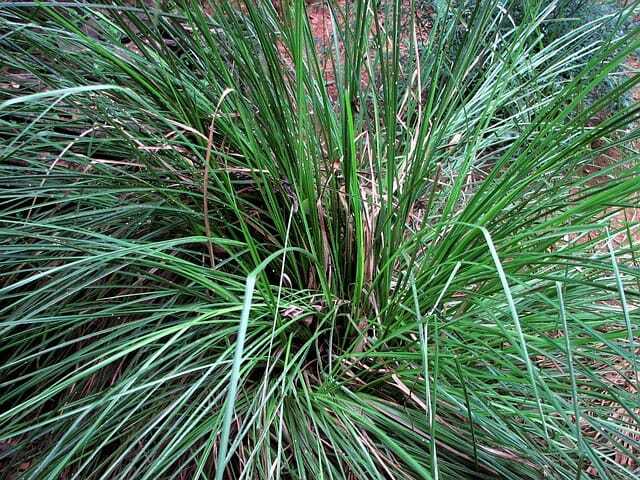 An oil derived from plant roots that possesses an earthy smell and can help your brain shut off. Which are both floral and help to create a relaxing mood. A citrus oil that can help to relieve stress. Two woody, earthy oils that are great for calming the brain and helping to relax the body. These also blend well with floral oils. Yes, you’ve probably heard of it in cooking but it has other uses, one of which is helping to relax the muscles and joints of the body. By relaxing your brain and body and combining with oils that affect the symptoms of tinnitus you will be able to reclaim a semblance of normality and a decent night sleep. It’s important to remember never to put essential oils directly into your ears. The oils are very potent so this may cause severe reactions. 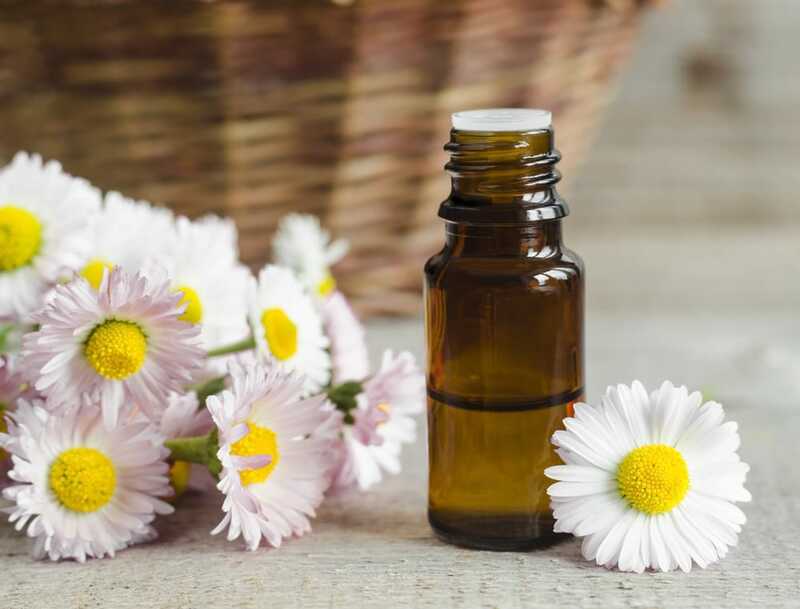 Below we’ve outlined how to use your essential oils to reduce tinnitus safely and effectively. 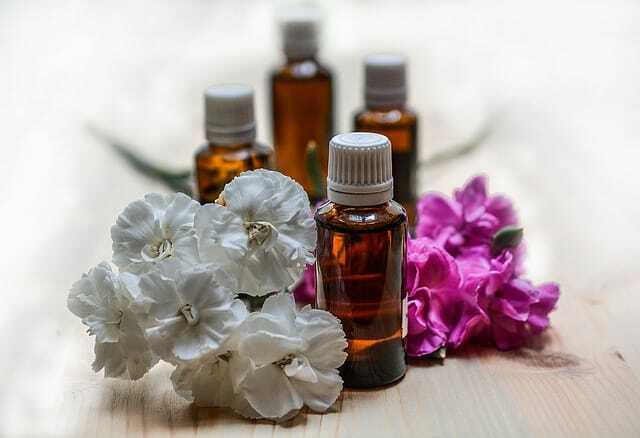 It is possible to apply small amounts of essential oil to the parts of the body around the ears, such as the earlobes or the temples as the skin is less sensitive here than directly inside ofthe ear. 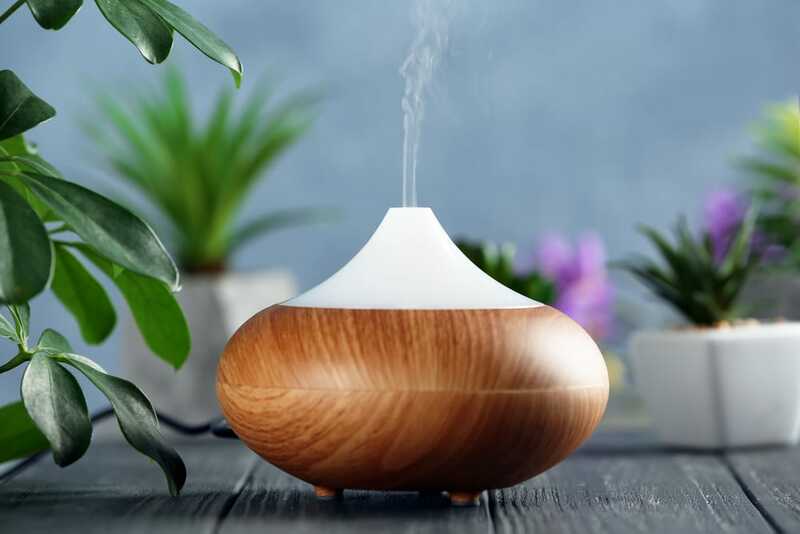 The gentlest way to benefit from essential oils is by using a diffuser. Simply squeeze 1-2 drops of your chosen oils on the scent pad (or directly in the device depending on the design), and the diffuser does the hard work! Keep the diffuser by your bed as you sleep to feel the benefits of the oils. Your nose, throat and ears are all connected, so by breathing in the essential oil vapour, you’re getting direct effects. Having the diffuser in the bedroom means you’ll get the tinnitus-reducing benefits of the oils all night long. As well as this, many of these oils have the added benefit of supporting restful sleep, meaning you’ll have a relaxing, restful sleep. This is great if your tinnitus tends to flare up at night. However, as previously stated, never drip essential oils directly into the ears. If you’re having a severe attack of tinnitus, you can squeeze 2-3 drops of your chosen essential oil (or your essential oil blend) onto two cotton balls. Place these cotton balls in the opening of your ears, but DO NOT push them deep into your ear canals. Think of them like headphones. Keep these cotton balls in your ears for a few hours, or until the tinnitus subsides. Then wash your ears with warm water to remove any residue. Tinnitus can be a painful, life-limiting condition. By using essential oils every day, you can have a significant reduction in your tinnitus. It’s important to stick with the essential oil use and make it part of your routine. This regular use will give you the biggest benefit. If you don’t find any improvement with one oil, try a different one, or a different combination, until you find something that works best for you. Mixing oils that relax you and have an effect on the symptoms might be able to really benefit your everyday life.